Heat oven to 450°F. a little oil in a medium skillet. Add the shredded cooked boneless chuck roast; season with salt, pepper and cumin to taste. Fry until crispy; set aside. Meanwhile, in another medium skillet heat a little olive oil and sauté the onion rings until caramelized (~10-15 minutes); season with salt and pepper.Divide mozzarella cheese among the two flatbreads. 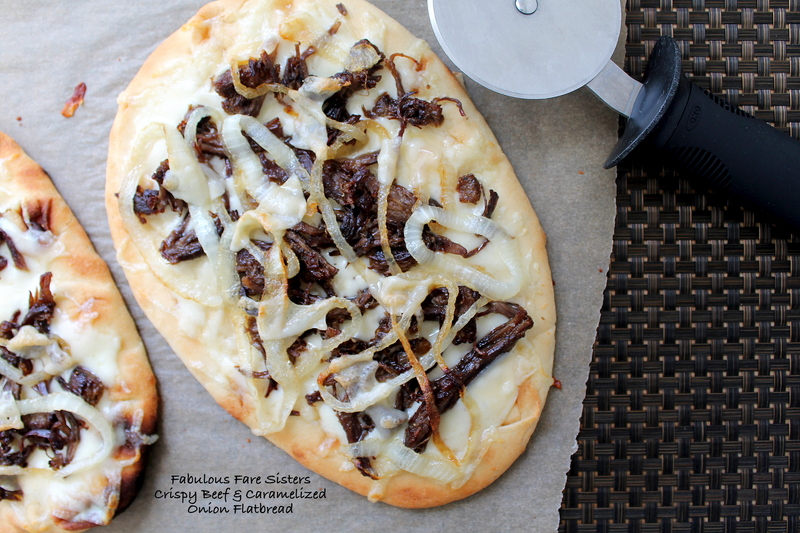 Layer the crispy beef and caramelized onions on top of the cheese. Bake in the heated oven 7-10 minutes until cheese has melted and edges are nicely toasted. Remove from oven. Drizzle with a little truffle oil (if desired); slice and serve. Makes 2-4 servings. 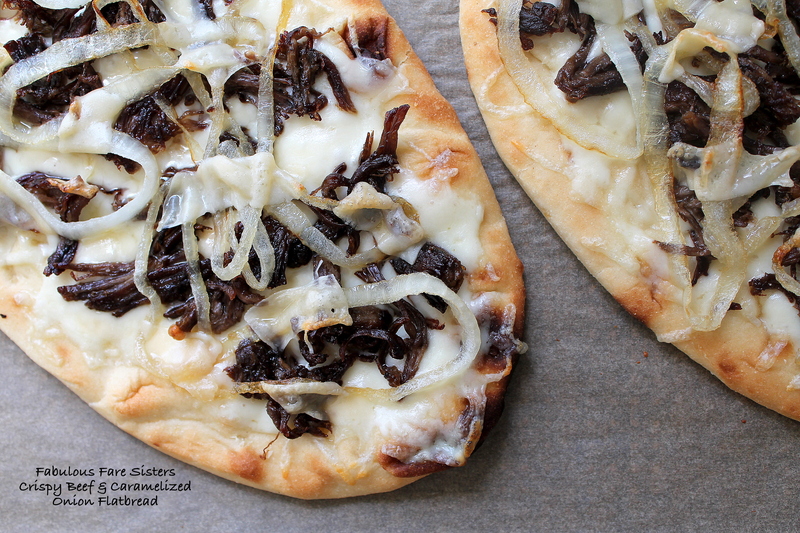 Naan is life, and this looks terrific! Yum! This looks so tasty Linda! LOVE making lil Naan pizzas. This looks SO GOOD! oh YUMM! 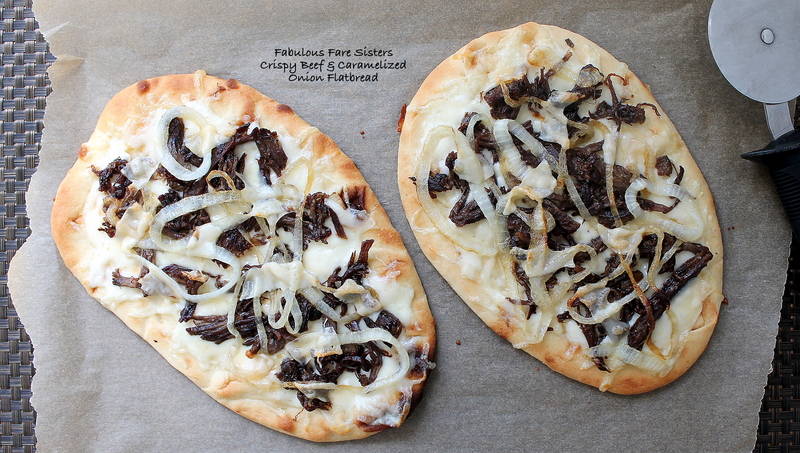 what a great idea with leftover chuck roast. What used to be a cheap, undesired cut has become such a favorite these days!! Love that chuck!